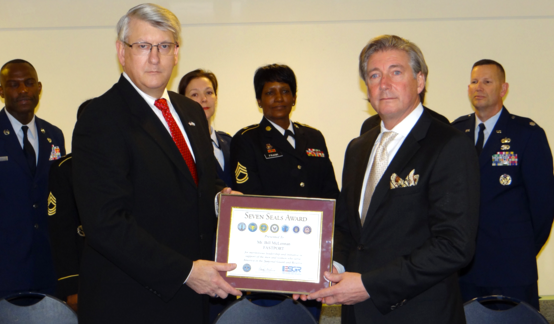 ARLINGTON, Virginia - To recognize the leadership FASTPORT and the trucking industry have shown to become First Responders in Veteran employment, the Department of Defense awarded FASTPORT with the Seven Seals Award. 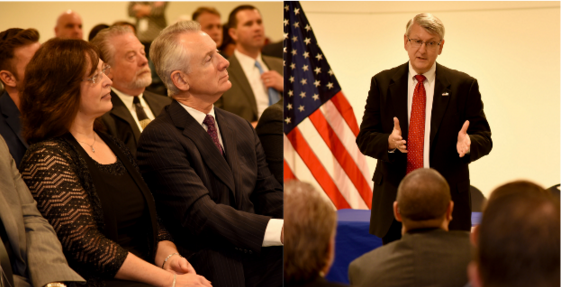 FASTPORT received the honor at the recent Employer Support of the Guard and Reserve (ESGR) Signing Ceremony where nearly 30 transportation industry leaders united to sign a Statement of Support affirming and reaffirming their commitment to employment support of the National Guard and Reserve. FASTPORT CEO Bill McLennan accepted the award on behalf of the trucking industry supporters who have shown tireless and proactive efforts to implement effective and impactful Veteran hiring initiatives in the trucking industry. To learn more about how to participate in Veteran hiring initiatives in the trucking industry, visit http://fastport.com/veterans.html.